SF Bloodstock hired BSW Bloodstock to lease and manage racehorses: Illuminant, Paola Queen, Al’s Gal, Pricedtoperfection, and Ma Can Do It. “We’re honored that SF Bloodstock chose us to manage these horses. They’re great clients and friends of ours. We have been aligned for many years, but getting a chance to manage their racehorses all started in 2014 when we leased and managed Rosalind, and we’re thrilled to have the opportunity to continue the careers of 5 very talented horses”, BSW Bloodstock founder, Bradley Weisbord. Rosalind, was purchased at the Fasig-Tipton Kentucky Fall 2014 Mixed Sale by SF Bloodstock for $1,000,000. BSW Bloodstock was hired to manage the filly, and moved her to trainer Chad Brown. 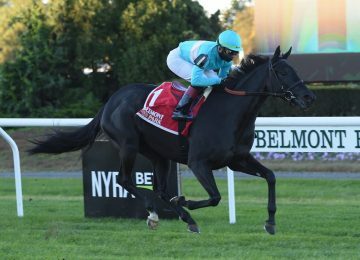 She returned to the races to place in the Suwannee River Stakes (G3) at Gulfstream Park and win the Sheepshead Bay Stakes (G2) at Belmont Park. She went on to run competitively in six other Graded Stakes including Grade 1 races like the Odgen Phipps Stakes, the Delaware Handicap and the E.P. Taylor Stakes. Rosalind was retired at the end of 2015 with $912,179 in career earnings and was bred to War Front in 2016. 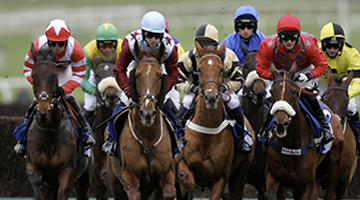 “BSW Bloodstock can evaluate and enhance the career of a racehorse with proper management. By managing the careers of 50+ stakes horses each year in America, we have a great feel of how to maximize a horse’s value based on their ability. We’re thankful that SF Bloodstock trusts us with their prized investments” said Weisbord. Among the purchased horses are three Grade 1 winners including, Illuminant, Paola Queen and Al’s Gal. Grade 3 winner, Pricedtoperfection and multiple Graded Stakes placed, Ma Can Do It, are also included. Illuminant, a 2012 filly by Quality Road, has raced 11 times and has a record of 4 wins, 2 seconds and a third place. She finished in the money in all four of the Graded Stakes she’s raced in. She most recently won the Gamely Stakes (G1) at Santa Anita in May of this year. She was purchased for $900,000 at the 2016 Fasig-Tipton Kentucky November Mixed Sale. 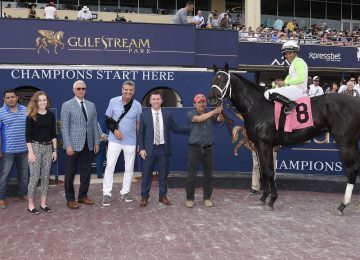 Illuminant will remain with trainer, Michael W. McCarthy and will be owned in partnership with SF Bloodstock (66%) and Eclipse Thoroughbred Partners. Paola Queen a 3yo filly by Flatter was purchased entirely by SF Bloodstock for $1,700,000. Her current record from 10 starts is highlighted by a win in the Test Stakes (G1) at Saratoga this summer and a 2nd place in the Gulfstream Park Oaks (G2) at Gulfstream Park in the spring. She’s faced some very talented fillies in three other Grade 1 races including the Longines Kentucky Oaks, Acorn Stakes and Beldame Stakes. 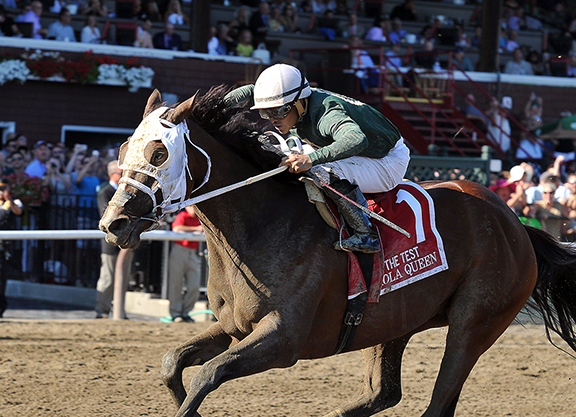 Chad Brown has been chosen as the new trainer for Paola Queen. She will get a 60 day freshening at Bridlewood Farm under the care of Jonathan Thomas before heading to Chad’s Palm Meadows base. 5-year-old mare, Al’s Gal, has already earned $750,120 from 27 career starts, but is only getting better with age. Her recent form includes wins in the E.P. Taylor Stakes (G1) Woodbine, Keertana Stakes at Churchill Downs and the Kentucky Downs Ladies Marathon Stakes. She ran second in the Bewitch Stakes (G3) at Keeneland, Modesty Handicap (G3) and the Beverly D. Stakes (G3) at Arlington. SF Bloodstock purchased Al’s Gal for $800,000 at the Fasig-Tipton Kentucky Fall 2016 Mixed Sale. Al’s Gal was sent immediately to trainer Graham Motion and she will be pointed at the La Prevoyante Stakes at Gulfstream Park in 2017. Aside from a 9th place in the 2015 Breeders’ Cup Juvenile Fillies Turf (G1), Pricedtoperfection, has never finished out of the money. The 2013 filly, sired by Temple City, has 2 wins, 2 seconds and 4 thirds from 10 races in her short career. Her best result came in the Sweetest Chant Stakes (G3) at Gulfstream Park in early 2016. Since breaking her maiden in her second start, she’s raced solely in stakes races, four of which were Graded Stakes. Pricedtoperfection was purchased by SF Bloodstock for $650,000 at the Fasig-Tipton Kentucky Fall 2016 Mixed Sale. 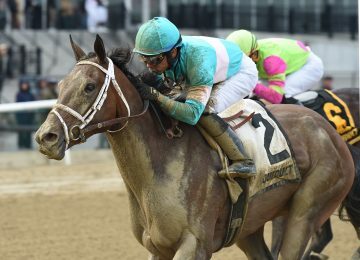 She will return to her trainer Chad Brown and be pointed at Graded Stakes in 2017. Ma Can Do It, a 2013 filly sired by Majesticperfection, raced in three Graded Stakes before breaking her maiden at Churchill Downs. Despite tough competition, she was 3rd in the Darley Alcibiades Stakes (G1) at Keeneland, 5th in the 14 Hands Winery Breeders’ Cup Juvenile Fillies (G1) and 2nd in the Black-Eyed Susan Stakes (G2) at Pimlico. Ma Can Do It was purchased at the Fasig-Tipton Kentucky Fall 2016 Mixed Sale for $300,000. BSW Bloodstock has chosen to move the filly to trainer Todd Pletcher. SF Bloodstock is run by Tom Ryan in America and Henry Fields in Australia. SF Bloodstock was leading buyer at this year’s Keeneland November Sale. They were also involved in many top horses in 2016 around the world: G1 Winners Exaggerator, Creator, Flinthsire, Capitalist and Almanzor.